The Red Eyed Damsel is a South African wet fly that was invented by Hugh Huntley and was made to mimic the abundant Damsel fly nymphs that occur in many of South Africa’s waters in the Spring and Summer months. The colourful adults can be seen flying around the areas where you may find the larvae and nymphs. The nymphs will often hatch close to vegetation close to the side, or be actively pursuing smaller aquatic prey items. The Red Eyed Damsel is a great natural imitation of a Trout‘s natural prey item, and is a great fly to use on sinking line during Summer afternoon’s on stillwaters. I recall a time at Millstream Trout Farm where I managed to land 13 Rainbow’s in 45 minutes on one occasion on an Olive Red Eyed Damsel. 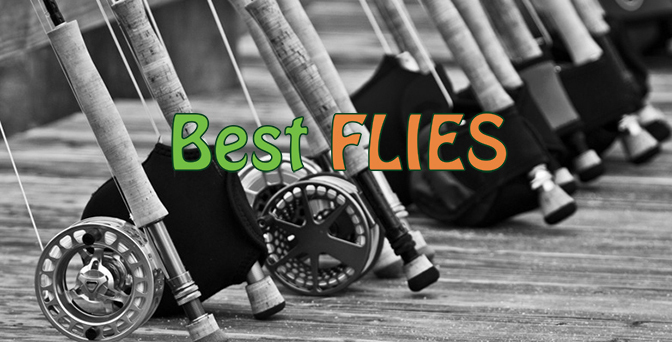 We have also caught fish such as Bass and Vlei Kurper on this fly and it is very versatile and is a must have. Another variation of the Red Eyed Damsel is to tie with painted dung bell eyes, opposed to the red material. 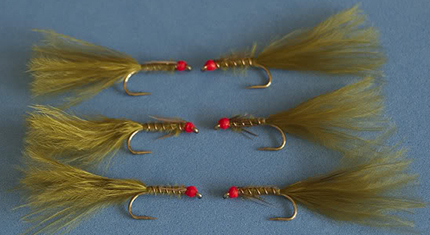 This gives the fly more weight and seems to work a lot better in deeper waters.